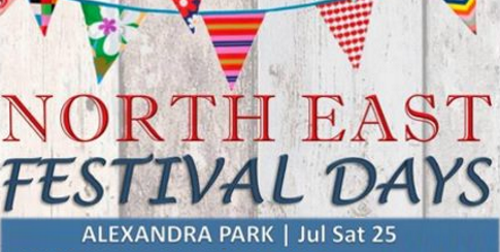 A carnival parade of “music, costume & movement” leaves at 12 noon from City Park and makes its way along Alexandra Parade towards a finale at Alexandra Park (10 Sannox Gardens, Glasgow, G31 3J). When you arrive at the festival, expect to find live music, children’s activities, sports tasters, community stalls, local market, food, plus lots more. Expect to see a stall with your Community Council representatives (i.e. us), too! You can take a look at photos from previous events in 2011, 2013 and 2014. 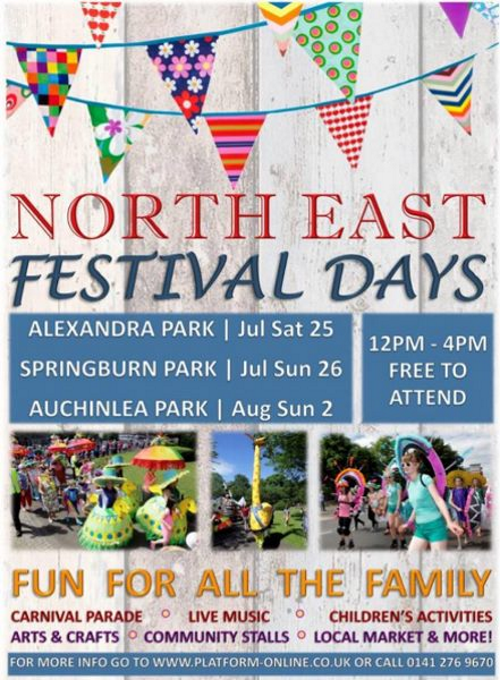 Sunday 26 July 2015 at Springburn Park. Parade leaves 12 noon from Barmulloch Community Centre. Sunday 2 August 2015 at Auchinlea Park & Provanhall House. Parade leaves 12noon from the Bridge. The ALEG organising group consists of GCC Community Planning, GHA, Glasgow Life, Glasgow Kelvin College & the voluntary sector. The events this year follow on from a number of events organised as part of the successful 2014 cultural programme leading up to the Commonwealth Games.